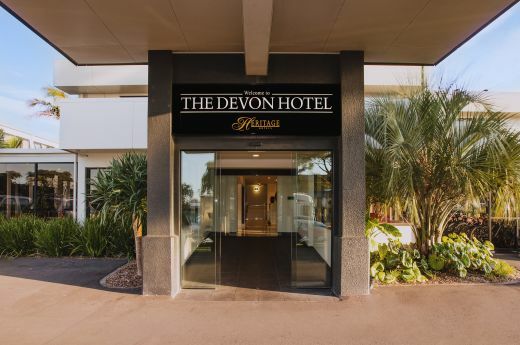 We encourage you to make use of all the guest services available at The Devon Hotel, we have a range of complimentary facilities including complimentary WiFi*, mountain bikes, spa pool, heated outdoor pool, gymnasium (off-site), gaming consoles and Sky TV. For information about Taranaki read our Things To Do pages or just ask the reception team. They are happy to help. Try out our spa pool and heated outdoor pool situated in the property gardens. While staying at The Devon Hotel you will have access to the New Plymouth Aquatic Centre and Gym (see reception for details). 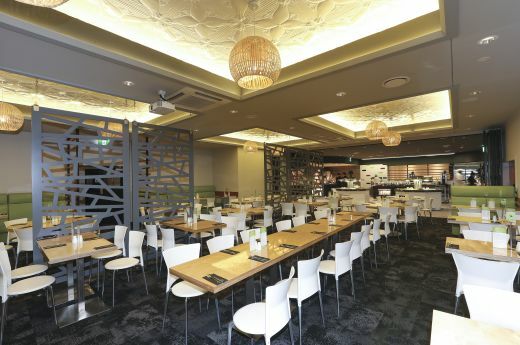 That is what makes our Marbles Buffet Restaurant so popular with guests. From entrees to desserts, you can select from an extensive range of dishes that celebrate local produce. And for a post-dinner drink, pull up a chair around the fireplace in The Rocks Lounge or relax in the garden and courtyard areas. 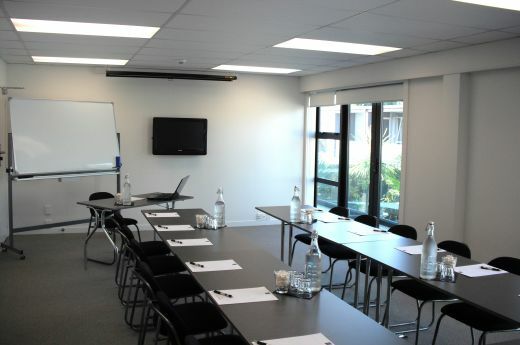 The property also offer business services including a meeting/conference space for guest including valet dry cleaning and laundry services. There is also high speed complementary WiFi* throughout the property. Also remember that our onsite parking is free for you and our business guests. The Devon Hotel us guest mountain bikes available for complimentary use and being so close to downtown and the coastal walkway this is a great way to get around and see the sights. We are also able to provide Guest passes to Ngamotu Golf Club (subject to availability) for those interested in a round.